Much like any other convention that I go to, everyone likes to sleep in the early morning while I'm up and exploring the convention especially since I made two runs to Walgreens in the morning to ensure that we had batteries to run the megaphone for the gathering, which when we realized that the batteries inside were still working. Our schedule was free until 12:30pm, the time of the start of the Persona/SMT Gathering. Part of the time spent was promoting our gathering by finding other Persona/SMT cosplayers, while the other part was coordinating with those who were running the "Ask a SEES" panel because for whatever reason, the gathering started half an hour after their panel started and they wouldn't be in until after 1pm (and on top of that, there was another Persona-related panel at 2pm, so that stretch was back-to-back-to-back leading up to the concert). This posed an issue for Ryan and I, the ones that were running the gathering. Because everyone wasn't there to start, we couldn't call out the traditional Arcanas but instead had to play out the group based on what we had then do more shots as people jumped in. A good example was a Persona Q-inspired shot where the ladies would be in the front but the males would be way in the back, adding in a depth-of-field akin to scene were the guys shrunk in the first dungeon, "You In Wonderland." Eventually everyone joined in at the very end and we attempted to get the biggest selfie possible. The selfie in its final form. Lunch was upon us back in the room, and we about an hour to eat because right around 3pm everyone started lining up for the concert, even those who had VIP tickets who would be in first. 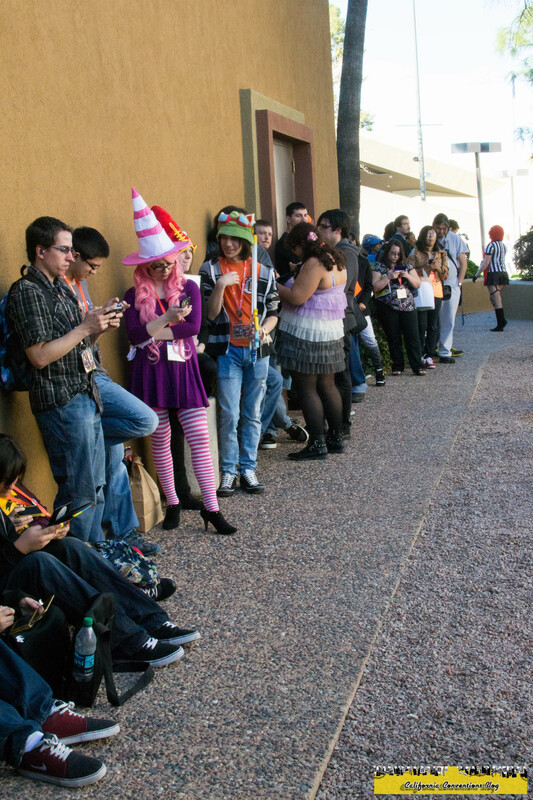 Regular ticket holders in line. The plan was for us to be in the door around 3:45pm and the concert would start at 4:15pm, but technical issues from the sound kept us waiting almost about an hour. During that downtime, I learned two things: 20% of the VIP tickets sold came from a group of Persona cosplayers from Texas, and that someone was selling Lotus Juice CDs for almost a steal. That seller had his first album, Only A Test, available for $10 while offering the hardcover limited edition of Carpe Diem for $15. Both albums run for $30 and $200 respectively back in Japan and sold here for $25 together. 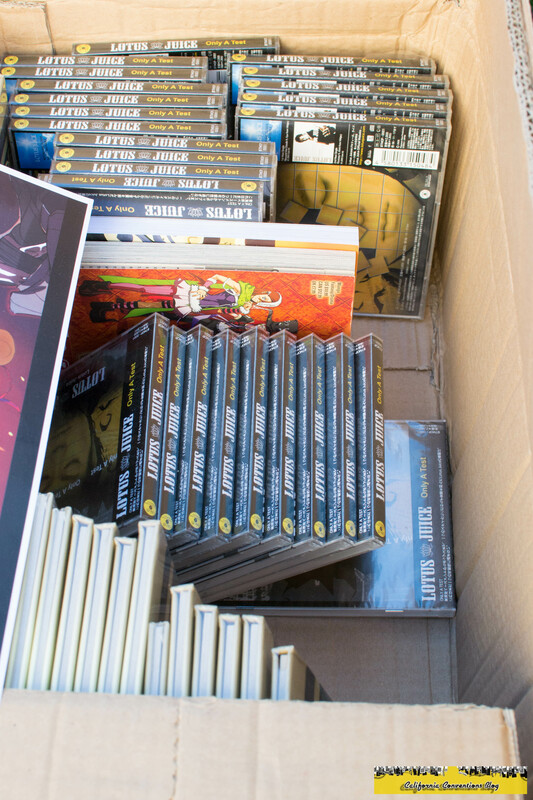 All them CDs for sale. The opener for the concert was Random, aka Mega Ran, from Philladelphia, PA. 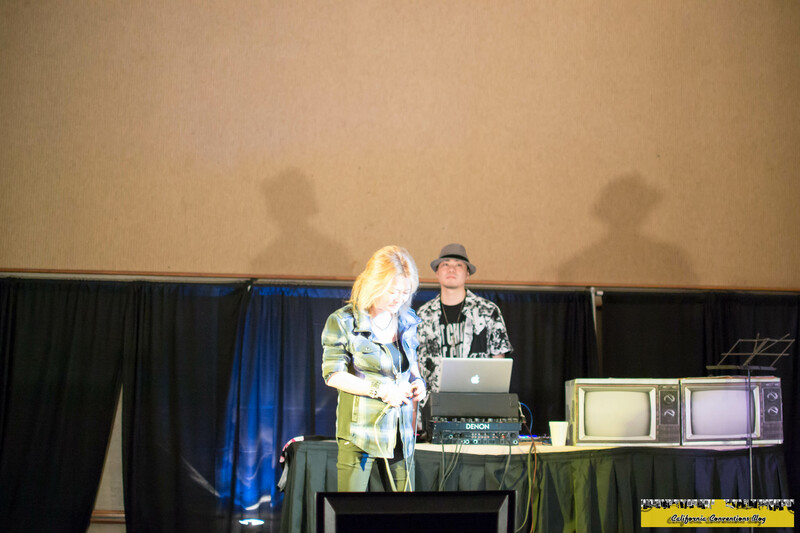 The pre-show started with some mellowed beats from him that the Texas group was getting down to. 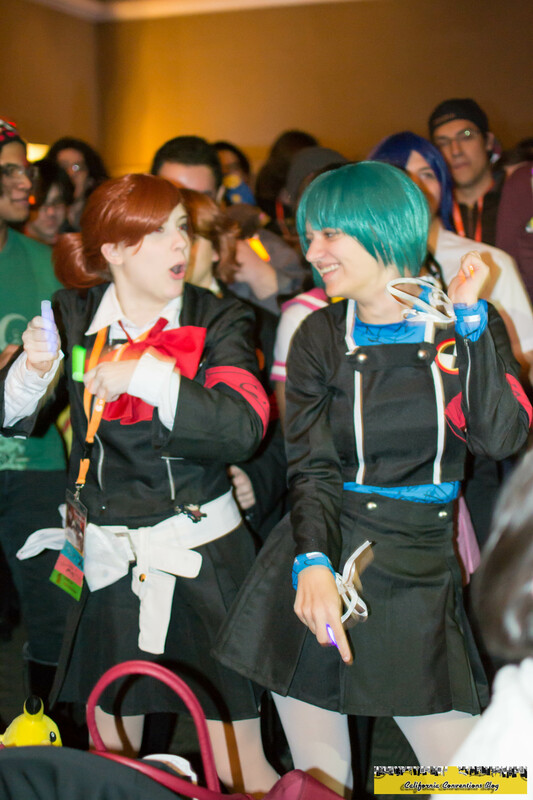 Minako and Fuuka dancing to the beat. 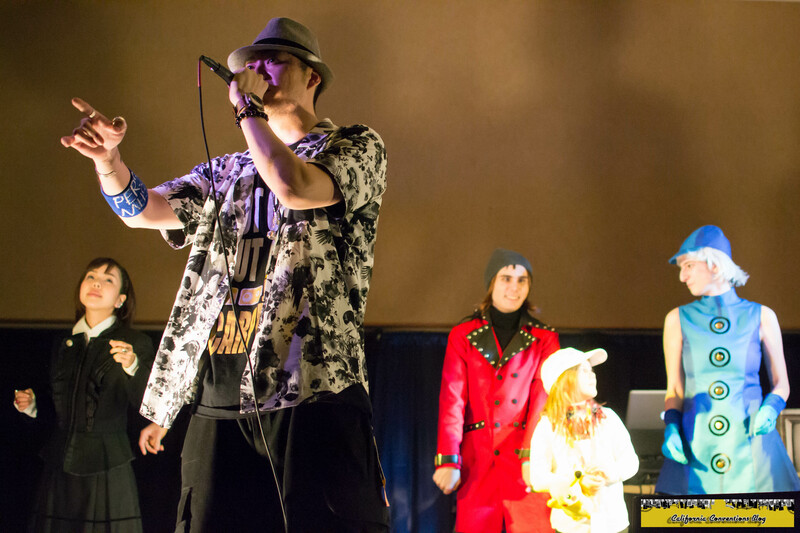 He eventually took the stage and treated us to a combination of hip-hop, soul, and chiptunes which was right down our alley. 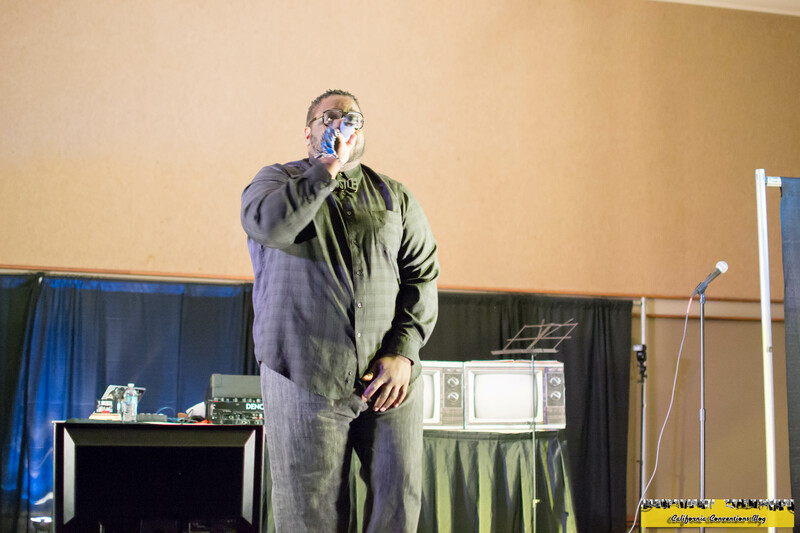 Mega Ran taking the stage. His best moment came at the end of the setlist when we busted out a freestyle to "Intergalactic" from the Beastie Boys with only items that he saw, ranging from an evoker to a plane ticket to a cigar and even my selfie stick that Ryan was using to record. 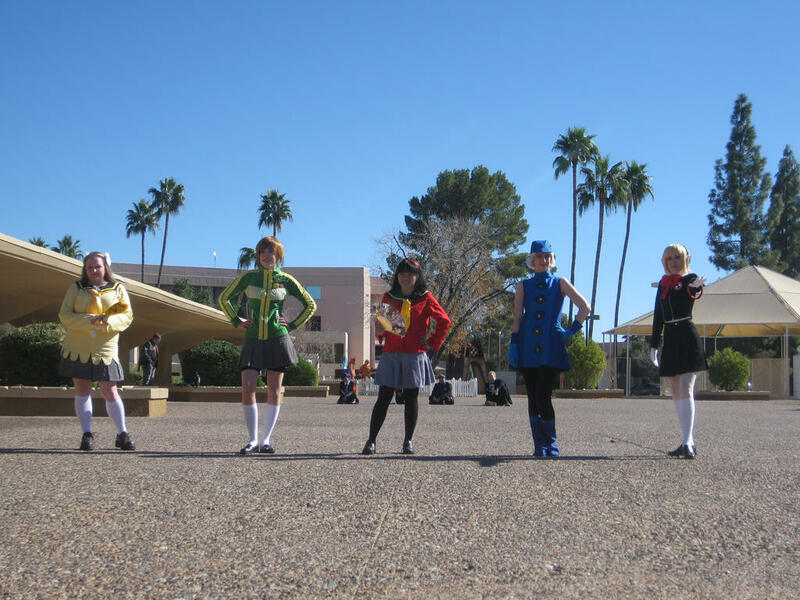 After a brief intermission with an introduction by Michael & Gackto, it was time for the moment that every Persona fan had been dreaming of, the reason why so many people came out to this anime convention in Mesa and dropped hundreds if not thousands of dollars. 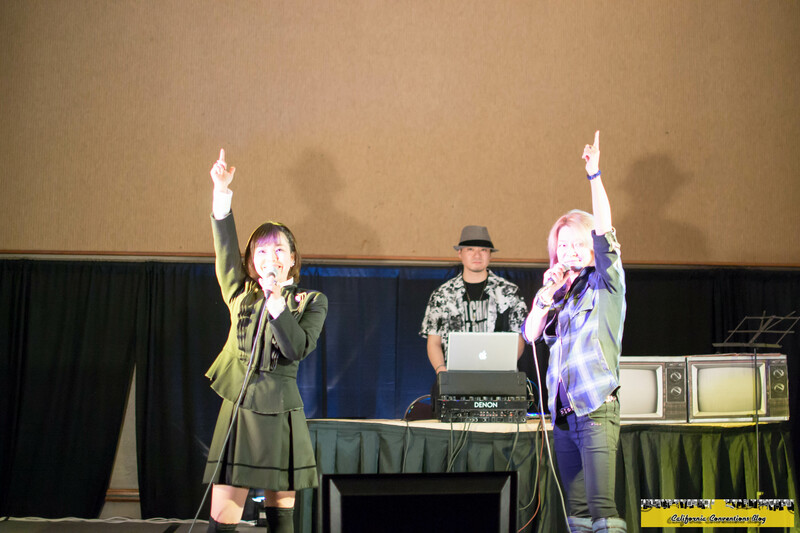 Hirata-san and Kawamura-san singing "MAZE OF LIFE" from Persona Q with Lotus at the helm. Did I mention that this Shihoko Hirata and Yumi Kawamura's first visit to the United States? 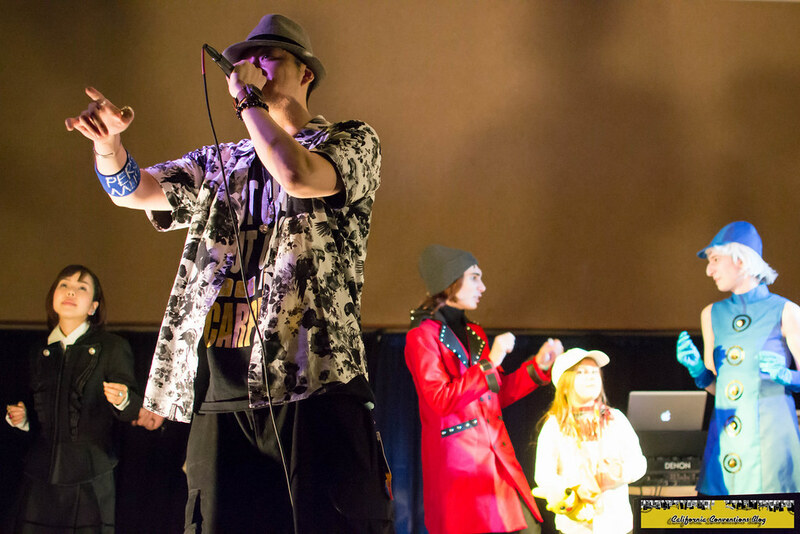 Lotus Juice getting first track in with Kawamura-san performing "Break Out Of..." from Persona 4 Arena Ultimax. 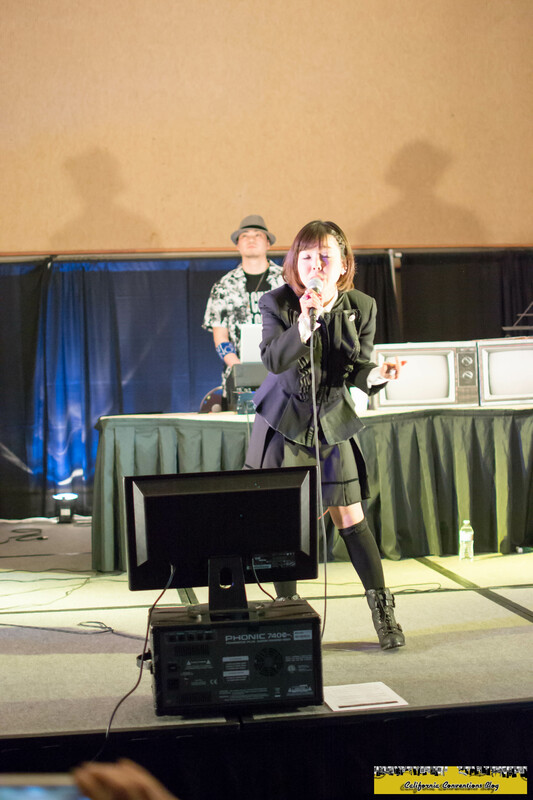 Kawamura-san performing solo to the song "Time to Make History" from Persona 4 The Golden. Kawamura-san taking a break during the musical interlude of "Memories of You" from Persona 3. 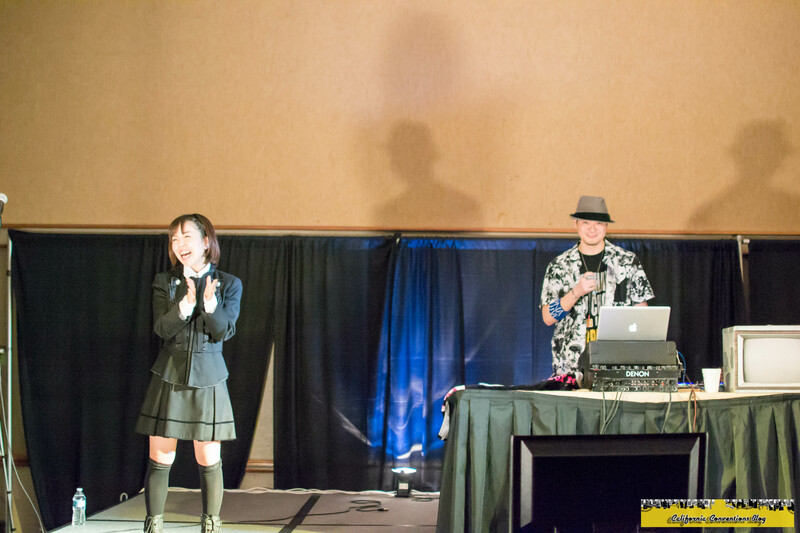 Hirata-san's reaction to the crowd singing the chorus to "Never More" from Persona 4. Lotus Juice singing "Deep Breath, Deep Breath" from Persona 3 with the help of dancers pulled from the crowd. 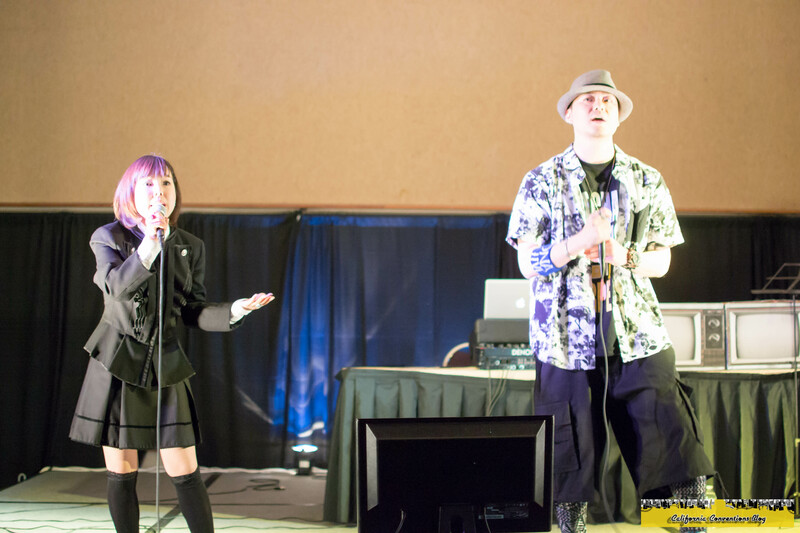 Lotus Juice and Hirata-san performing "Reach Out To The Truth" from Persona 4 as their encore. 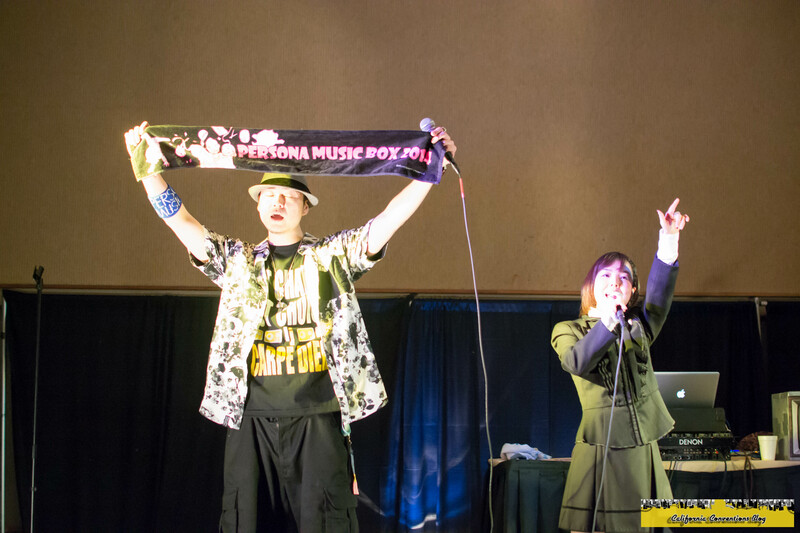 Notice that Persona Music Box 2014 towel he's holding; he threw that into the crowd at the end of the song. Even through all the photos and videos that we've posted as well as others have posted, it was something that you had to be here for. There's no words to really describe what saw that night...which we then attempted to do over at In-N-Out. Danny getting a concert poster signed from Kawamura-san during the after-concert autograph session. 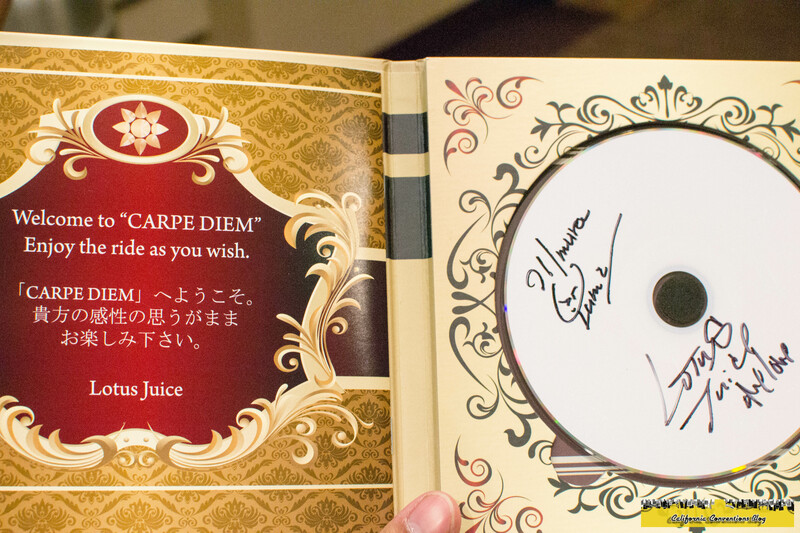 A signed copy of Carpe Diem from Lotus Juice and Kawamura-san. The rest of the night consisted of partying the night away. The Velvet Room Lounge - which was renamed to the Lounge de Velours due to copyright issues - was in full swing consisting of Persona cosplayer playing games with the attendees. Despite said copyright issues, everything else was Persona-themed and I played a couple of games before rejoining Ryan, Danny, and Michael back in room to continue the night away.